Traditional TV channels still dominate, but we can’t ignore streaming services. The study by eMarketer, over half of Americans, now watch TV using streaming service; but how would I know that my favorite shows and films are on which streaming service and for how much? Have you’ve ever tried to track an older movie, say “The Dark Knight Rises”? No, don’t do that, it’s hell frustrating especially when the title is not readily available on pay services such as Netflix. Do you know where your favorite movie is streaming? No, but CanIStream.It knows. Just write and search through all major streaming services, and relatable affordability. Back in 2011, CanIStream.it, pioneered to crawl video streaming sites to see if a movie was available to stream, rent or buy. It was the solid service from that time, bringing video streaming tracking sources, and much more. The service is a side project of a team at Urban Pixels, an NY-based technology consulting, branding and design firm, they built the site as they were in need of a platform like this; so were we. Thanks to the competing services, the ever-changing content deals between streaming providers and movie studios and yes, the maddening decision by studios for a 28-day window between DVD and streaming availability, it’s hard to know what’s where, and when. But now we can search CanIStream.it. CanIStream.it is a website and an app designed to tell you where and how much your favorite streams is featuring on the web; their massive database keeps a detailed track record of all the titles across services like Netflix, Hulu, Xfinity Streampix, Snagfilms, Amazon, Crackle, Fandor, YouTube and several others. If your desired movie or TV show is not available for streaming, mainstream.it guides you if it’s available for rent-only services including; iTunes, Vudu, Sony Entertainment Network, Google Play, and Vimeo On Demand. Or else rent streams from Netflix and Redbox; the world of entertainment does not end on streaming, the renting-out era is still holding us back. If you ’re still a cable subscriber like Xfinity, CanIStream.it knows whether the movie or TV show is playing on any of their premium channels like; HBO, Vudu, Sony Entertainment Network, Showtime, and Encore. 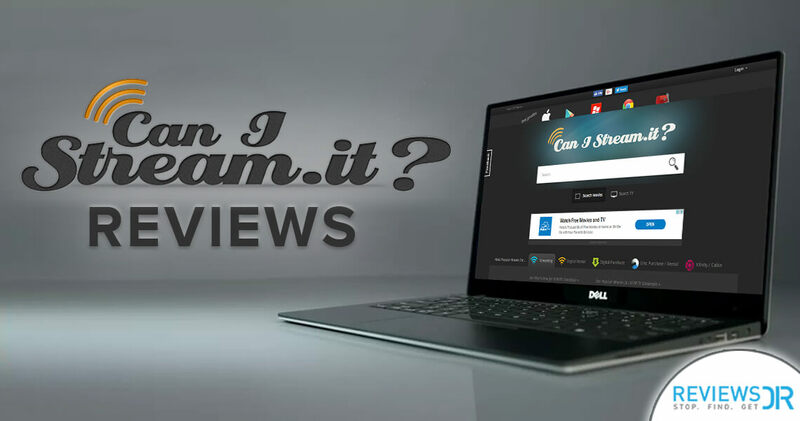 With the ability to check many different sources for the availability, CanIStream.it is the best place to look for all the movies you want to stream and if you’re not sure the movie or TV show you want is with your digital services. It also tries to find individually across the services, get command on multiple services at once and decide where to go to watch the desirable entertainment. Thanks to mainstream.it for saving our time and frustration by quickly presenting your favorite content without having individual searches. So, bookmark CanIStream.it now because I guarantee you, at some point, you’ll be needing it. This search engine knows everything about streaming, renting, downloading, and buying movies online. Can’t find your fav. TV show? Sign up CanIStream.it now and wait for the email for the availability changes. Everything starts with a signup, but not with CanISTream.it; you don’t need an account to find available providers, although registered users have more options. For example, registered users will be notified when specific film and series are available on the chosen platform, along with information sharing on social media and will also be notified when changes are made to titles on their watch list; available on a particular streaming channel, or if any season or language option is available. To set up an account, provide your email address and a password, or click ‘Login with Facebook’. Now you can proceed to choose your preferred streaming service and activate the account by confirming the link sent in the email. Sign up and use this search engine and the site’s full range of functions. There isn’t much to using the service – you enter a query and hit enter. Each result has four icons: streaming, digital rental, downloads and where you can purchase the DVD. Click the link and you’re redirected there. Hurrah! The downside is the limited streaming services to cater the different niches, like Crunchyroll, isn’t yet supported and the app interface that is a little outdated, Android app resembling KitKat-era design language and old Jelly Bean instead of modern Material Design. The iOS app has the same problem, the top nav bar resembles like you’re using iOS five years ago. Note: CanIStream.it is just a bridge between binge-watchers and all the streaming options available, not guarantee for that channel to work in your smart screen. All the streaming channels are somehow regionally restricted, to stream any like Netflix, you need to change your IP address to be located in that specific region, and Netflix VPN is good at that. Or if you want to watch something on Hulu, run a Hulu VPN and stream all the content across compatible devices. What Are The CanIStream.it Alternatives? GoWatchIt is more a comprehensive website for your desktop streaming, but badly designed focusing more on posters as visual cues. Don’t forget it’s one nice feature: it reminds you (if you sign up) when your favorite movies or TV shows become available on certain services. That leaves JustWatch, it is the best middle ground with good information, useful design and an alert features in case price drop on streaming content. It’s the best among three for cord-cutters and for those who rather be watching TV shows and movies than hunting them. Our JustWatch review will guide you further. Stremio not only searches catalogs, but also play content in its app; watch on your smart device, or else send content to a smart TV that’s connected on the same Wifi. It searches mostly US-centric content providers, unfortunately not Hotstar. Stremio is popular for installation add-ons to torrent sites. Now, you don’t need to waste hours to find the suitable streaming channel, suiting your pocket and availability, browse CanIStream.it and hit to get into the world of entertainment. Can’t reach? Use the best VPN and stream like a pro, from anywhere, anytime, and anything.